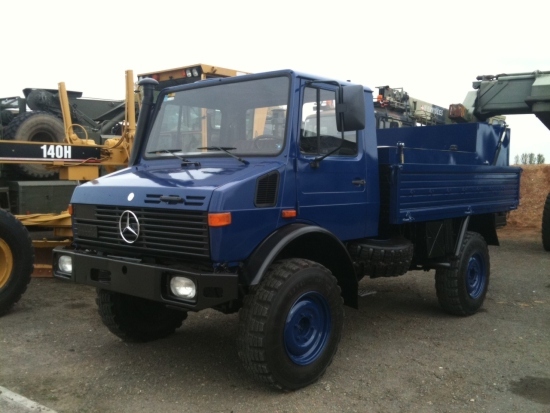 Mercedes unimog 4x4 service truck fitted with Removable Baffled Fuel Tank 4x4 LHD, EX.MOD. 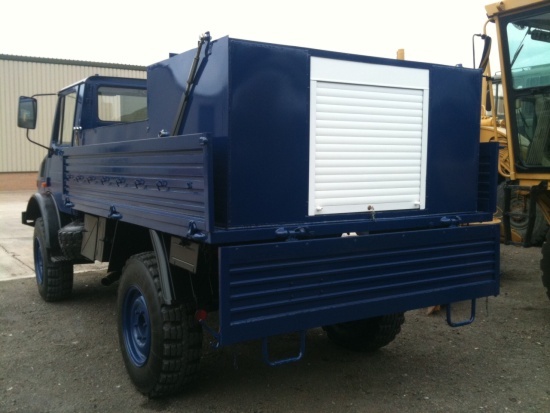 This unit is designed to be removed to permit the vehicle to be used as a standard drops side cargo unit. They are not equipped with rear linkage etc.. 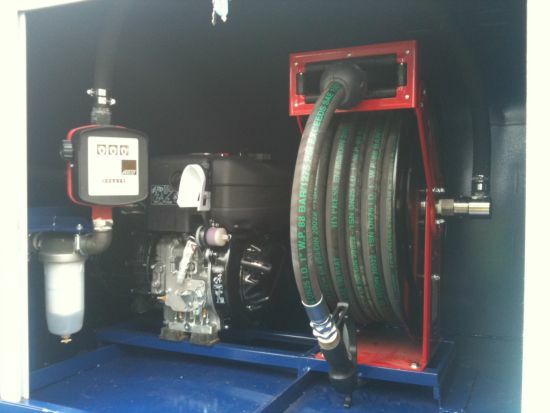 Hydraulic dual circuit brake system, disk brake, compressed air actuated. Automatic load compensation.